There is always a general tendency to club all animation films as children’s films. Extremely radical animation works like those of Ralph Bakshi’s have always been sidelined by the mainstream critics of their times. Animation is by default expected to be primarily intended for children and cater to the sentiments of the family audience. The honorable exceptions are mostly ignored or suppressed. That is why today I want to discuss a few films that I personally consider to be among the finest examples of thematic audacity that transcends the self-imposed barriers of the genre. My strictly personal selections include Isao Takahata’s Grave of the Fireflies, Hayao Miyazaki’s Mononoke Hime and Adam Eliot’s Mary and Max. .
Japan about to lose the World War II, a nation is under attack, a society is in chaos and a pair of orphaned siblings is trying hard to survive. 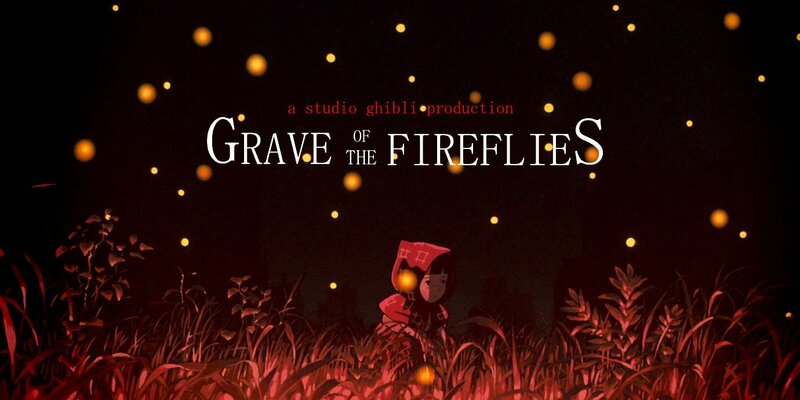 Grave of the Fireflies is what every war film should aspire to be, a real “Anti-War” film. It tells the story of a boy in his teens and his 5 year old sister and is based on partly autobiographical accounts of a real WWII sufferer. However, it is not about the battle itself and it is not the violence that moves people. War is only the background and at its core it is about relationships and family values and also about erosion of the same at the face of adversity. We get to see how the elder brother try to make the ends meet in the war ravaged nation. We also see the innocence of the sister, who is too young to fully understand the war or even decipher the meaning of death. She thinks the fireflies could light up their temporary shelter but wakes up next morning only to find that they are all dead. Then she buries them just like their mother. The fireflies are the symbol of ephemeral brightness, just like the ill-fated children themselves. Director Isao Takahata does not look for easy answers, nor does he cater to the “feel good” conventions of the genre. In fact the tone is too dark and depressing for children and the film spells doom right from the first sequence. The darkness is interspersed with real and imaginary moments of innocence involving the children. But even the lighter moments carry an invisible but overarching sense of melancholy which becomes stronger as the film progresses. The visual style of the film conforms to traditional Japanese animation and may look refreshingly different if one is not familiar with Japanese anime or manga. While the close ups are minimalistic, the landscapes are sweeping an evocative. It is not difficult to guess the outcome of the film but even I couldn’t anticipate the emotional impact of this film towards the end. That is why it remains one of the greatest films that most people would be afraid to watch again. A young warrior kills a rogue boar and in turn gets cursed. To find a cure, he travels westwards and arrives at a city inhabited by women who are constantly at war with the animals of the nearby jungles, primarily the wolves and the boars. He also befriends a feral girl raised by fearsome wolves and witnesses the “Forest Spirit” or the “Nightwalker”, a supernatural creature that lords over the forest. Now, he has to choose sides. As a human being, he must support fellow humans against the assault of the animals. But at the same time he cannot ignore the reckless destruction of nature, the all consuming greed and aggression of his fellow humans. His action decides the future! When I watched the lavish Cameron vehicle Avatar, it repeatedly reminded me of Mononoke. More I thought about it, more overwhelmed I got. It was not only the thematic similarity but of the visual excellence that Miyazaki achieves in this film with a fraction of a budget compared to the Hollywood blockbuster and also by mostly using thousands of hand draw animations. An array of exotic creatures, both real and imaginary, are drawn with intricate detail and nothing is sugar-coated to suite the children. Wolves are fearsome, boars are even more so, the forest spirit is enchanting and the action is violent. However, artistic excellence is only expected when someone like Miyazaki is at the helm. But the film eventually is about the eternal conflict between nature and its prodigal progeny, the human beings which keeps it pertinent and though provoking. A young, lonely, socially incompetent girl from a dysfunctional Australian family picks up a random address from the directory and writes a letter hoping to find a pen friend. That person turns out to be another loner with obesity issues, mental problems and frequent panic attacks for real and imaginary reasons. The initial response of the middle aged man to the strange letter was that of another panic attack. But eventually he pulls himself together and replies. They tell each other about their lives and their eccentricities. The girl grows up and the man grows old with time, things change but they continue their platonic friendship. One has to watch this film to understand how radical it is. While it weaves one of the most beautiful stories of human relationship, it stands apart from its peers because of its choice of characters, morose visuals and dark humour. 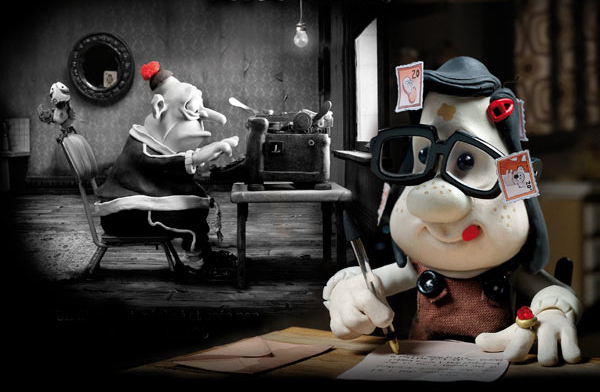 The film is mostly plays with black and white or sepia palette and the action takes place in congested rooms where the primary characters struggle through their existence. Even the humour evokes a sense of pain and sadness. This is the first feature length film by Adam Eliot and I believe that he is one filmmaker who will revolutionize the genre in the near future.